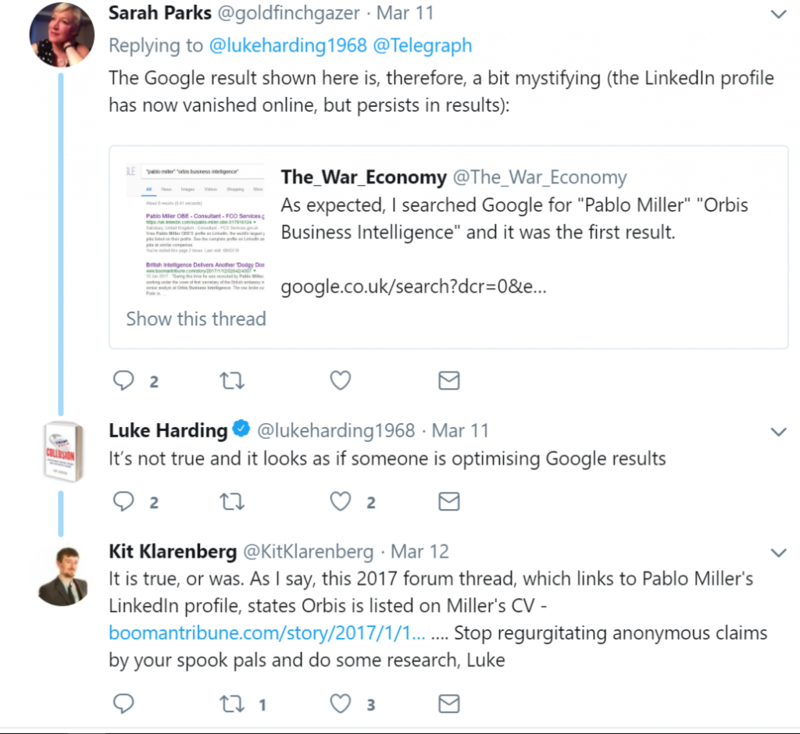 April 30, 2018 "Information Clearing House" - At the very beginning of the of the Skripal incident, the security services blocked by D(SMA) notice any media mention of Pablo Miller and told the media not to look at Orbis and the Steele dossier on Trump, acting immediately to get out their message via trusties in the BBC and Guardian. 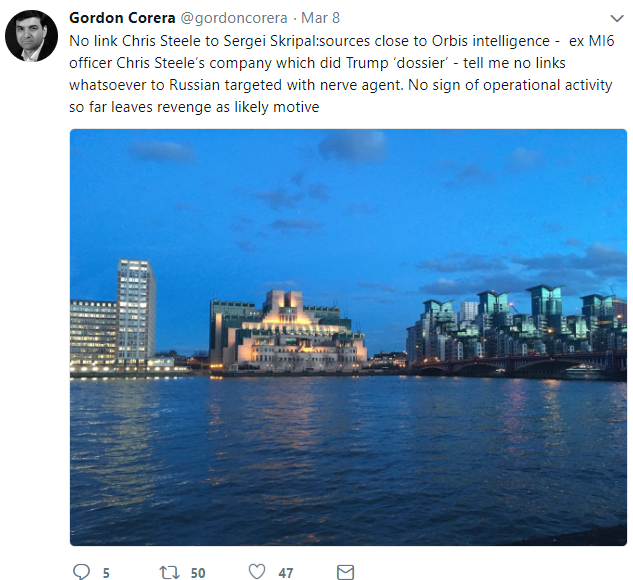 Gordon Corera, “BBC Security Correspondent”, did not name the source who told him to say this, but helpfully illustrated his tweet with a nice picture of MI6 Headquarters. Craig Murray is an author, broadcaster and human rights activist. 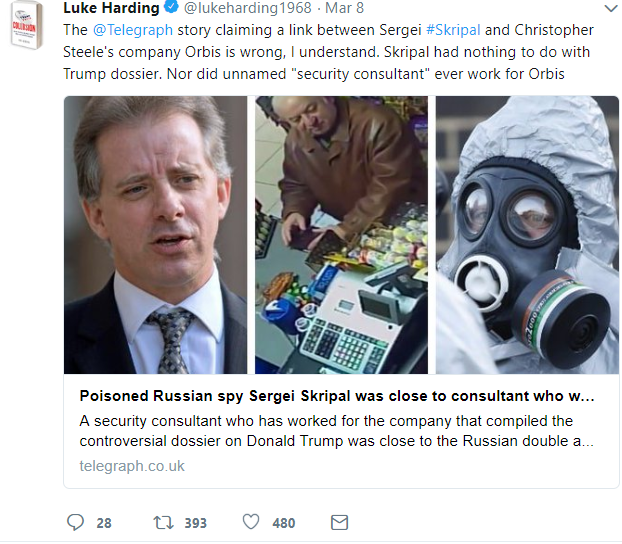 He was British Ambassador to Uzbekistan from August 2002 to October 2004 and Rector of the University of Dundee from 2007 to 2010. https://www.craigmurray.org .